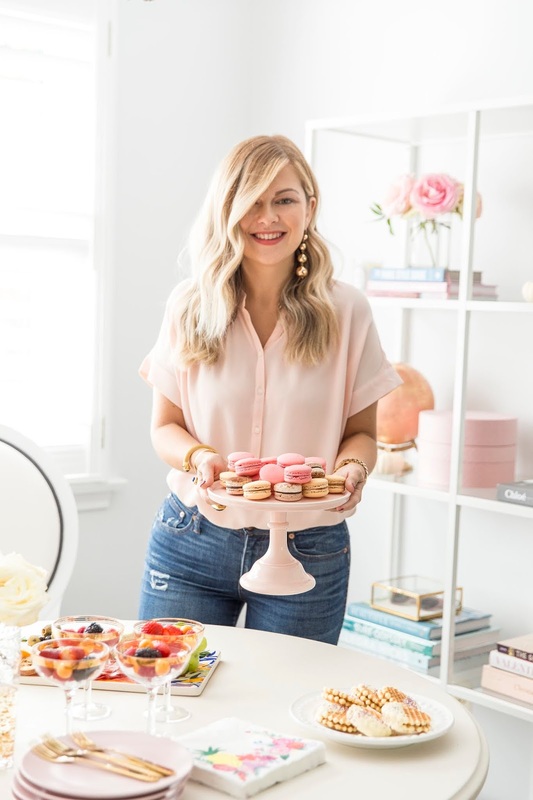 Getting together with the girls is one of those events that can take weeks or months to plan (babysitters, work travels, vacations and more to work around) so making sure it’s one to remember is key. 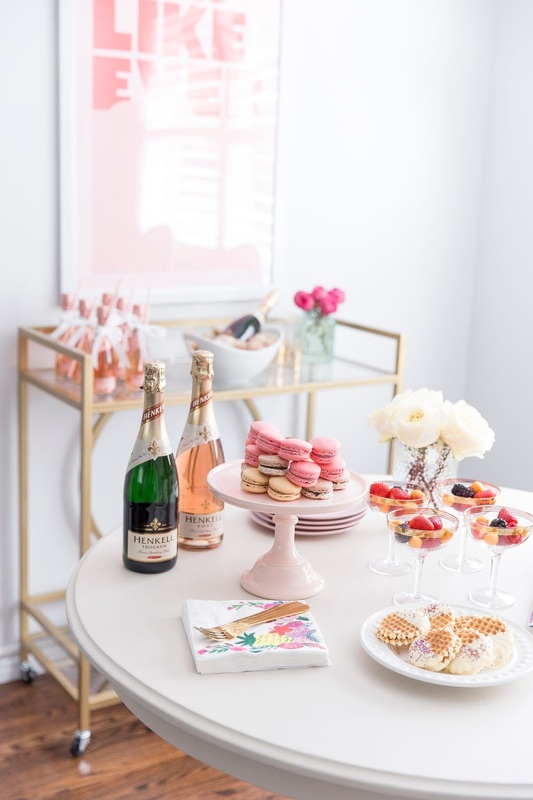 Rather than try to pick a restaurant everyone loves or find a movie nobody has seen, I decided to have the girls to my house on afternoon for some sips and snacks. 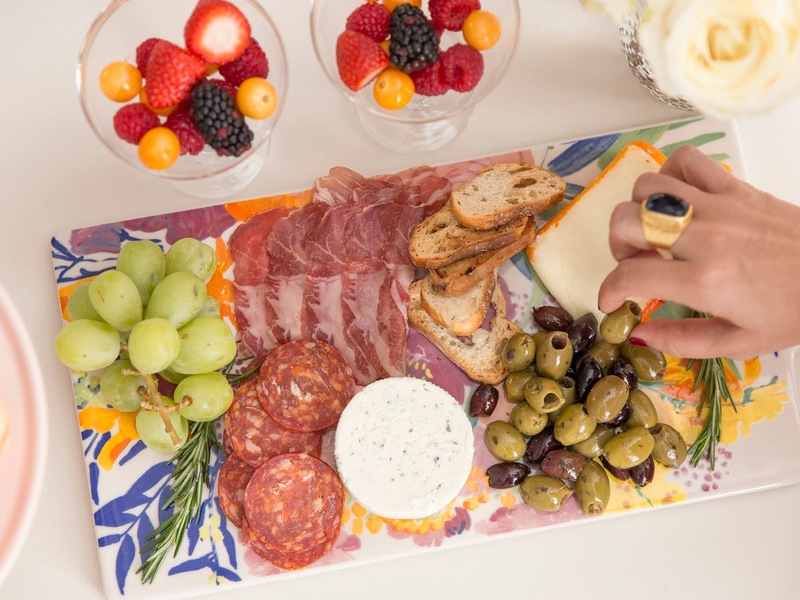 One of my favourite things to put together for entertaining is a charcuterie board. My go to items are Port Salut cheese (I can thank my sis in law for this recommendation), a brie cheese, fresh Salami, grapes, olives, nuts and rosemary. 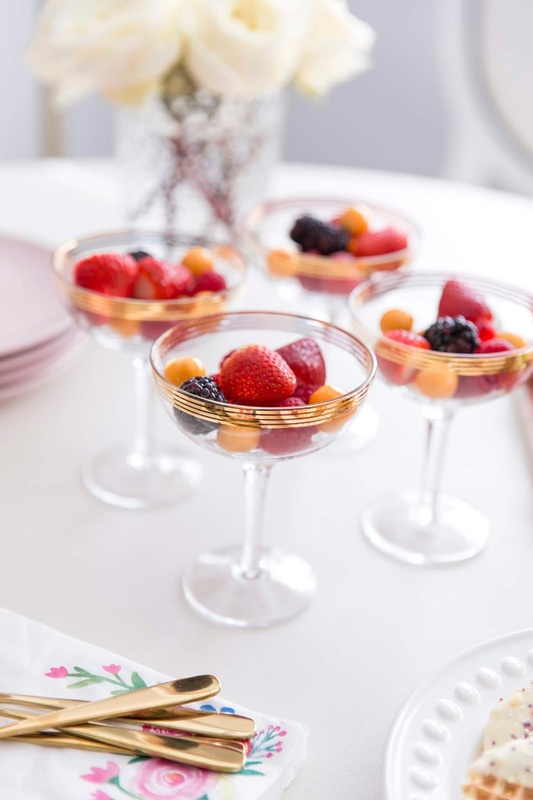 dd some oomph to an otherwise simple dessert – berries - by serving them in coupe glasses with coconut whip to add on top or even shave some white chocolate over it. 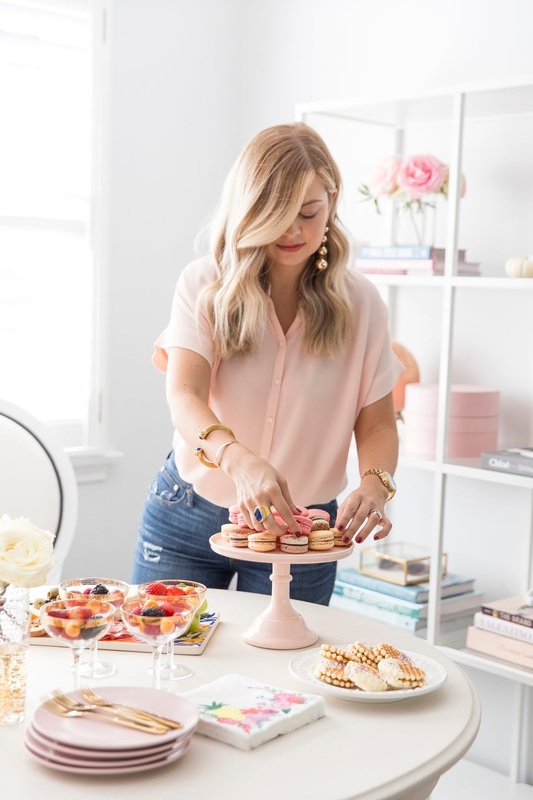 I’m also a major fan of grab and go from the grocery store so dipped waffle cookies and macarons from Whole Foods are often on my weekly grocery list when we’re entertaining. I also LOVE grabbing my flowers for the house from there – they’re so cheap and last almost longer than our local fresh floral market shop. 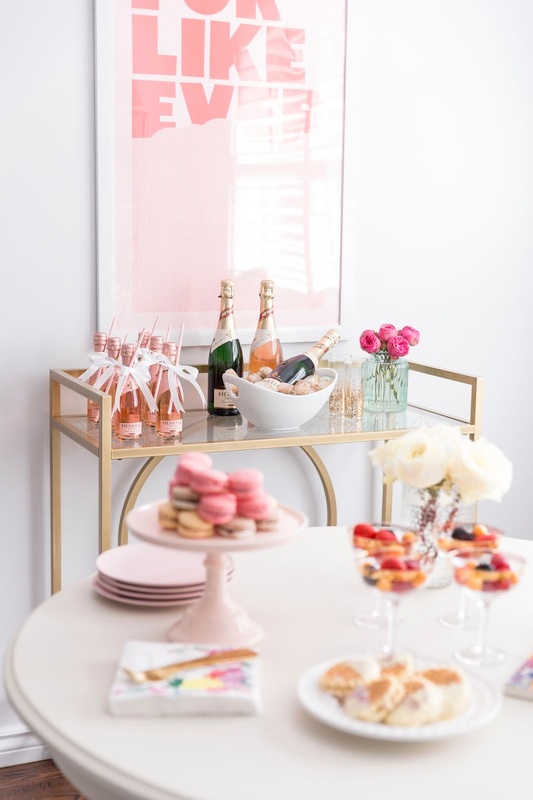 And last but not least, we can’t forget the bubbly! 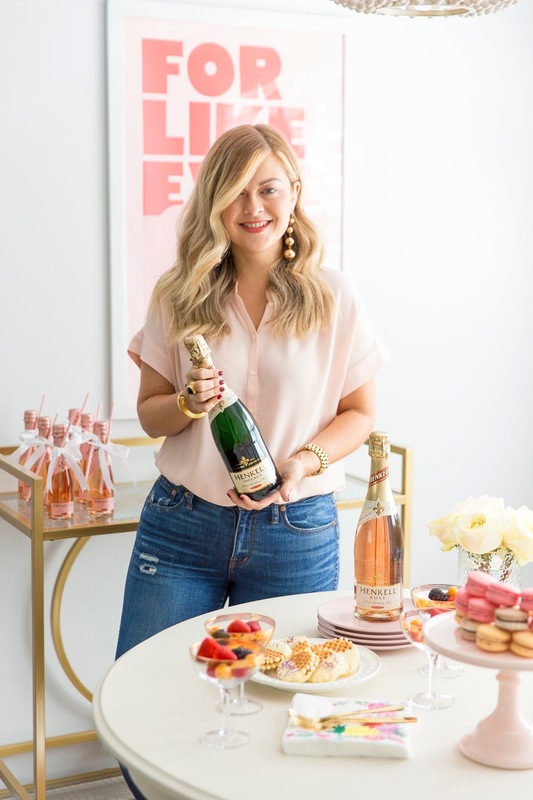 I ALWAYS have two items on hand for any occasion – Rose and Sparkling Wine. 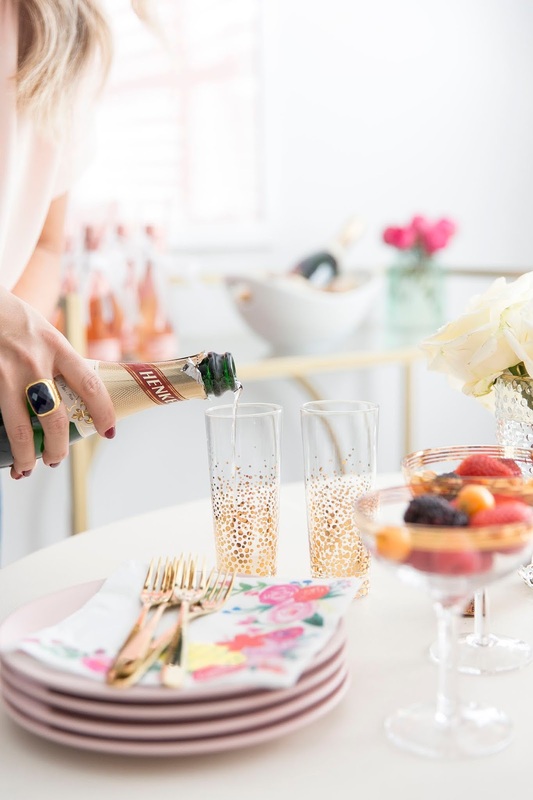 I never feel like it has to be a special occasion to have some bubbly in your entertaining experience so having a bottle chilled and on hand is a must in our house. I love the Henkell Trocken line for this very reason. 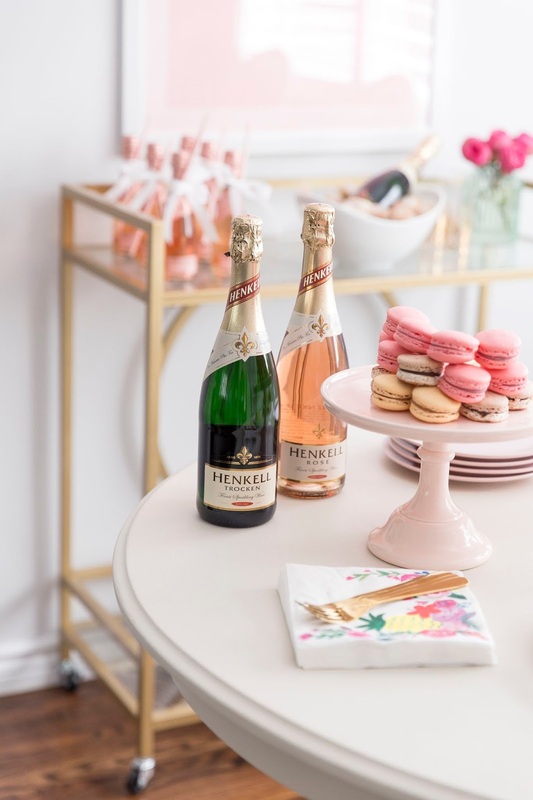 My family has been drinking this for years and incorporating it into Mimosa’s, celebratory occasions and even as favours. 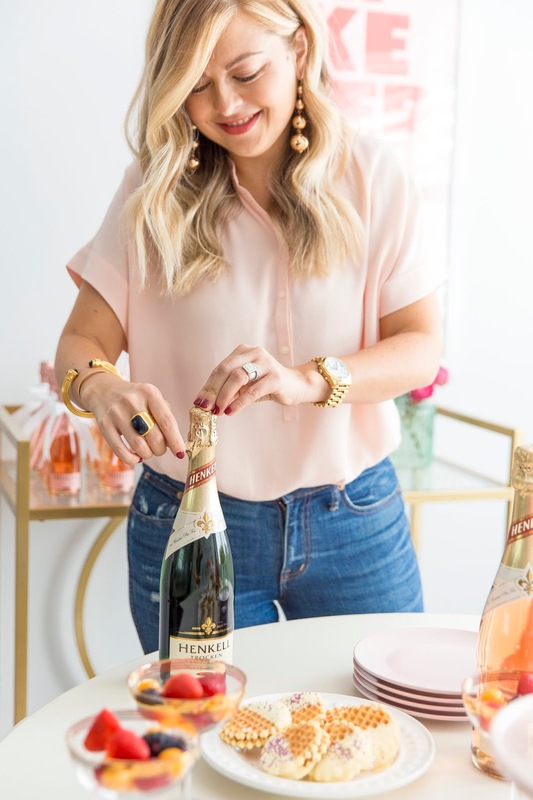 Priced at under $20, it’s one of those bar cart staples you can always serve – special occasion or not. 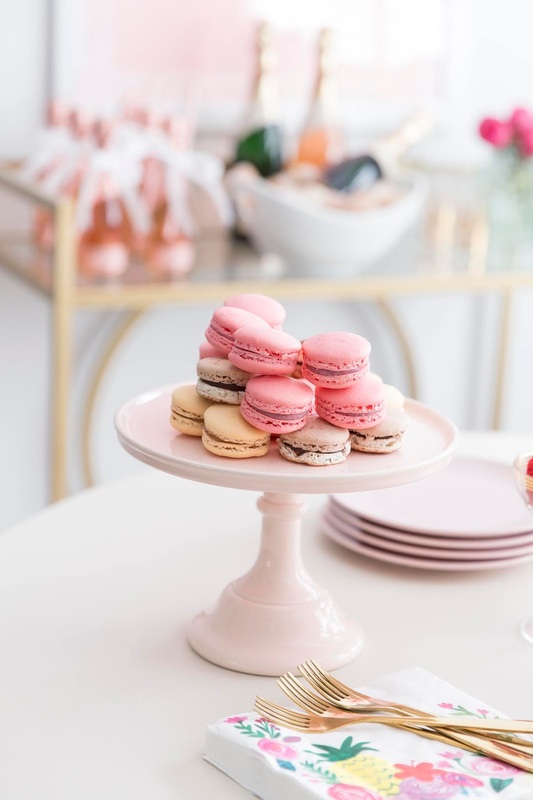 It’s not too sweet or too dry and is easy to sip on whether you’re enjoying a sweet treat like macarons or something savoury like a sharp cheddar. 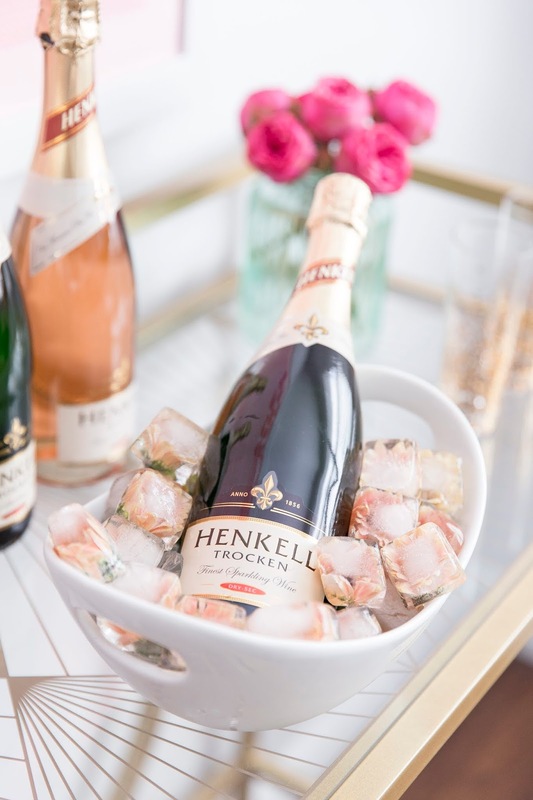 I actually tried a fun DIY for this event and cut the stems off old flowers that were about to wilt and placed them into an ice cube tray for a colourful take on the ice bucket’s display. 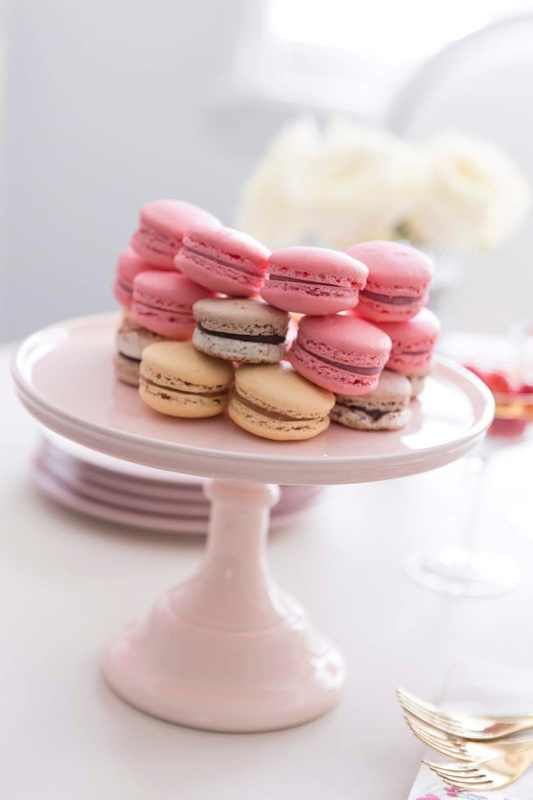 I might opt for smaller flowers the next go-around but I thought it was a cute touch! 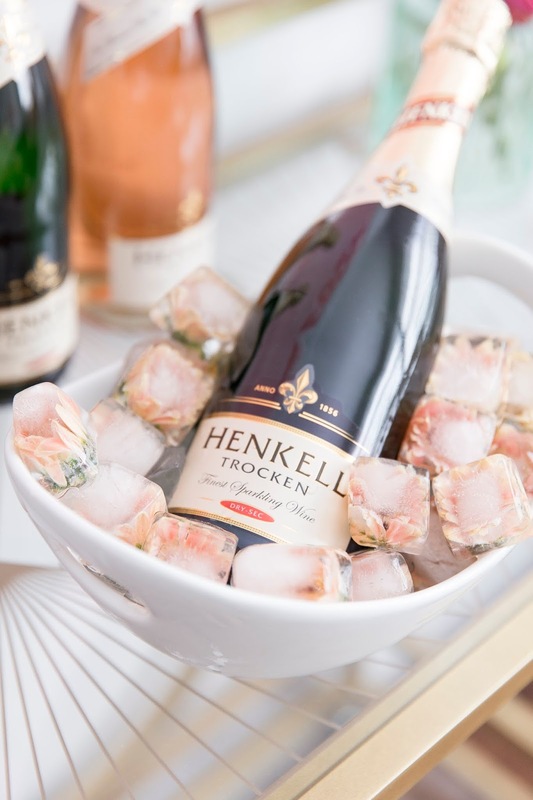 I mentioned that my family has used Henkell bottles as favours and I got to put that to use for this soiree as well. 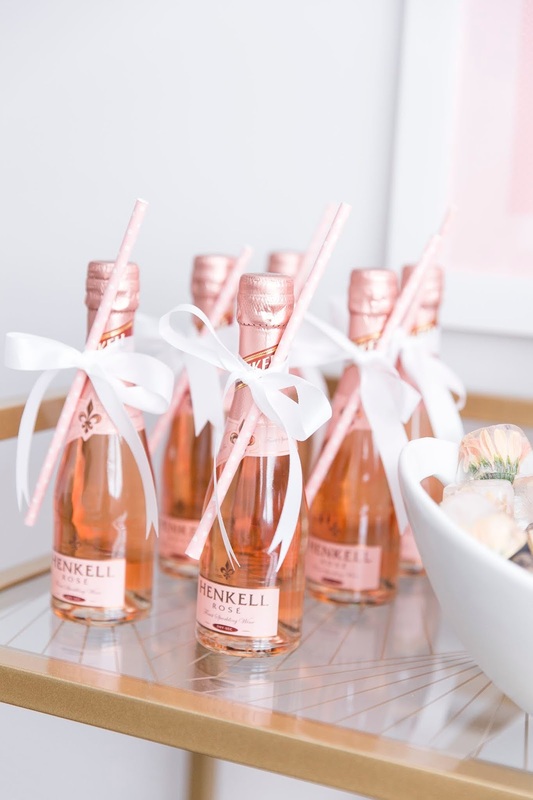 I LOVE using the Henkell Rose Piccolo as a fun giveaway to guests. 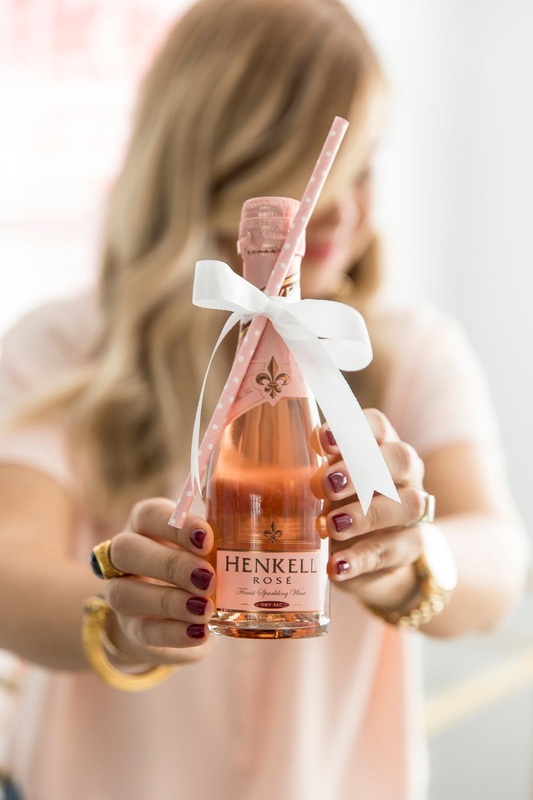 Simply wrap a colourful straw with white ribbon around it and voila – you’ve got a memorable giveaway that your girlfriends can keep or enjoy! 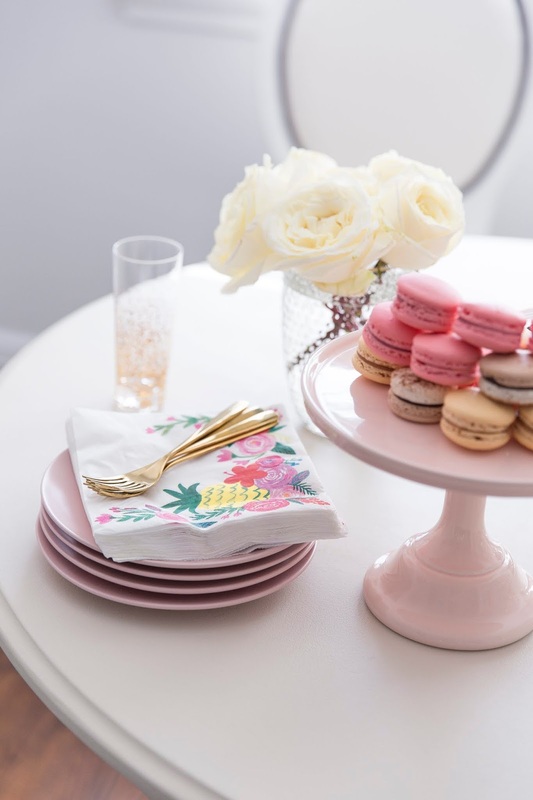 We’ve even had monogram stickers made them and handed them out at our brother’s engagement shower – so cute! 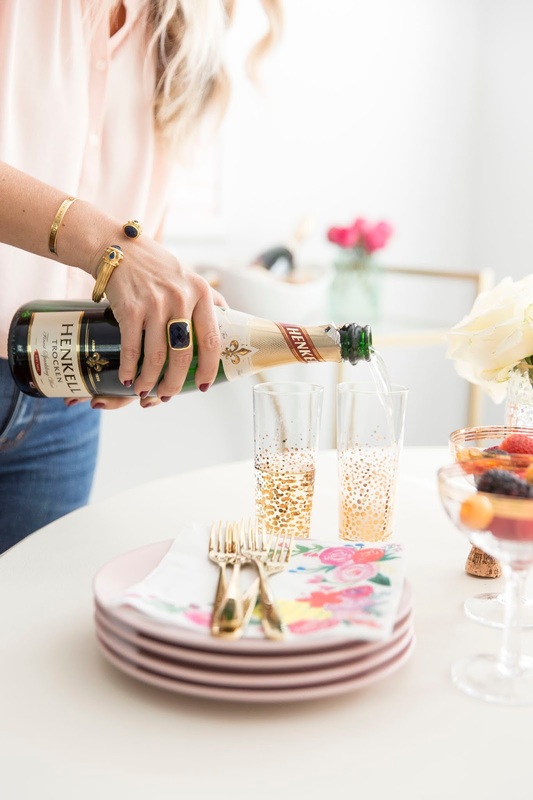 With a few simple dishes, the perfect bubbly companion and dessert – there’s always bound to be good times when you’re with your girlfriends! This post was sponsored by Henkell Canada. All thoughts and opinions expressed are my own.